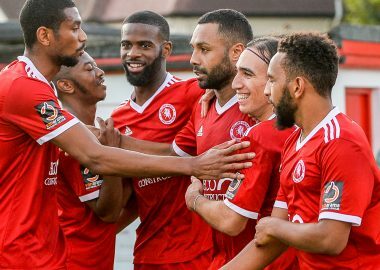 Welling United return to Park View Road on Saturday when they face Gloucester City in the Vanarama National League South. 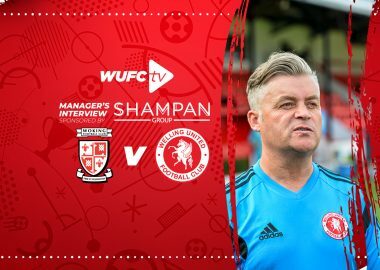 The Wings will be looking to put the disappointment of last weekend’s narrow defeat in the FA Cup to Woking behind them and pick up where they left off in the league. The side from DA16 go into the match 2nd in the table and Manager Steve King has been quick to praise the Wings fans for their excellent support of his Welling side so far this season. In player news Nathaniel Pinney has left Welling United, the club would like to wish him every success in the future. Zack Newton has extended his loan with Worthing. The match with Gloucester City kicks off at 3pm on Saturday at PVR.